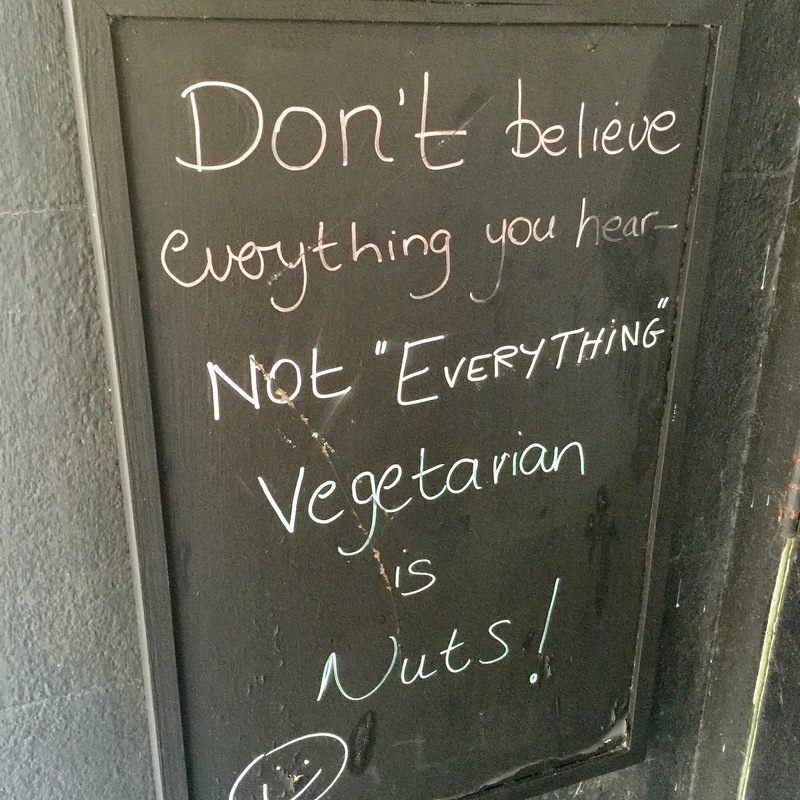 If you happen to be passing through East Sussex, or more importantly Eastbourne, then I really recommend that you make a stop at The Green Almond vegetarian bistro. I had the pleasure of recently visiting for lunch and I was so impressed by both the food and the unique ambience that I know this is somewhere that I'll keep coming back to. 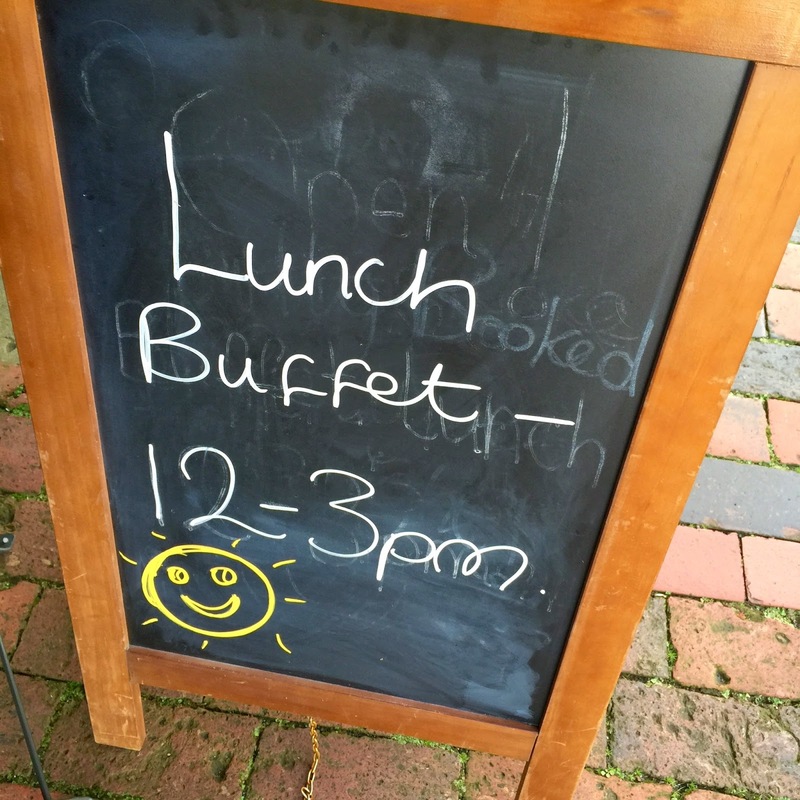 From Tuesday to Saturday this cosy little bistro offers up a mouth watering lunch time buffet consisting of both hot and cold dishes at an extremely reasonable price of £5 for a small plate or £8 for a large plate. The food all looked so good there was no question about what size plate I was going for! 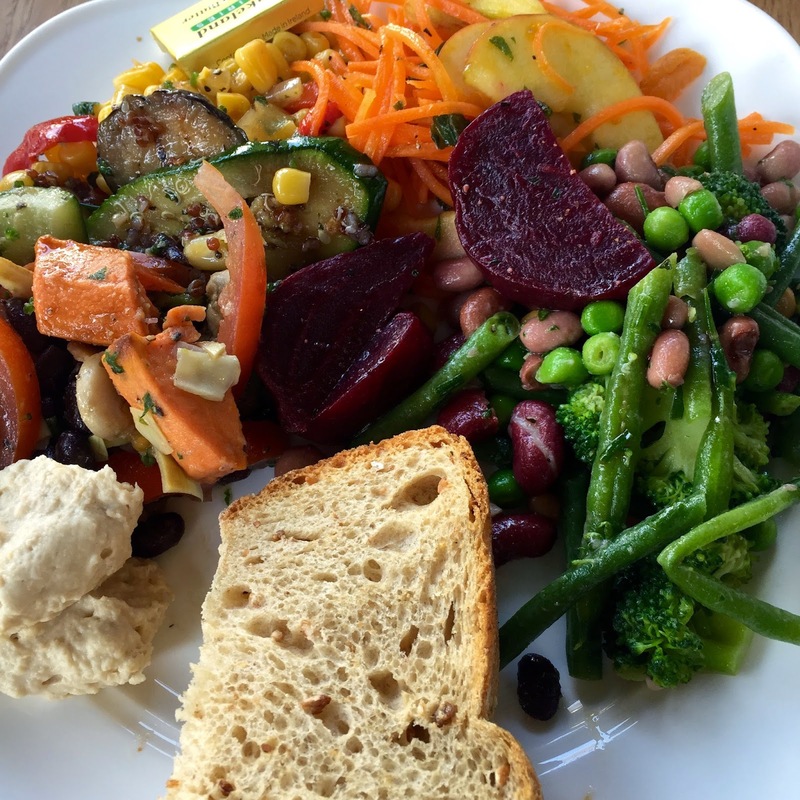 On the day that I visited the buffet was offering up a colourful array of different vegetables and salad dishes, all of which were delicious. I absolutely love salad bar buffets and this one stands mile high above any others that I have tried before in terms of quality and selection. 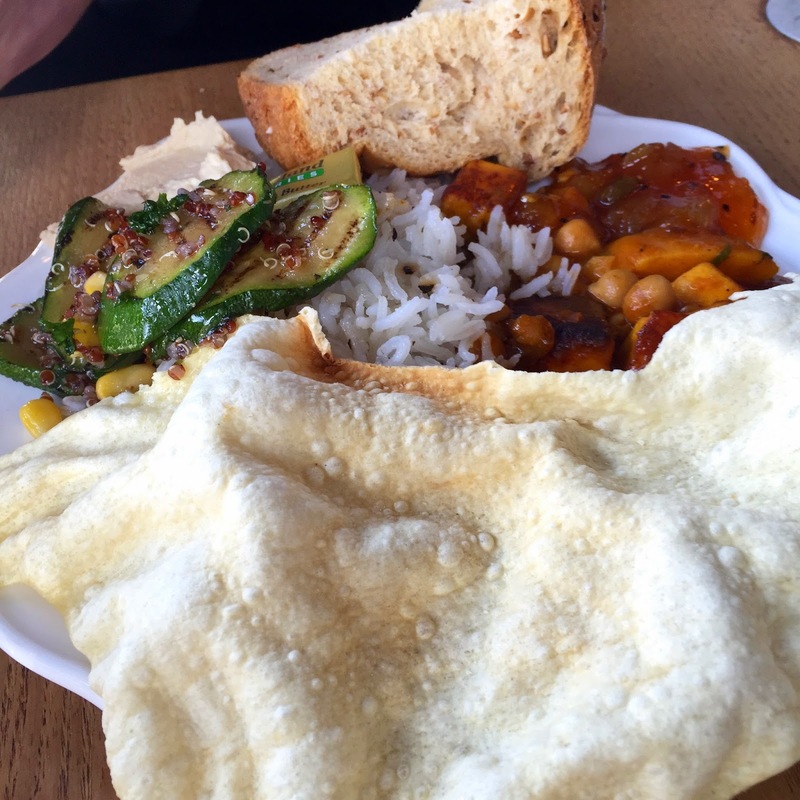 The hot dishes on offer were a choice of either a vegetarian or vegan indian curry with rice and poppadoms. And along with all of this was a selection of breads, dips and dressings. 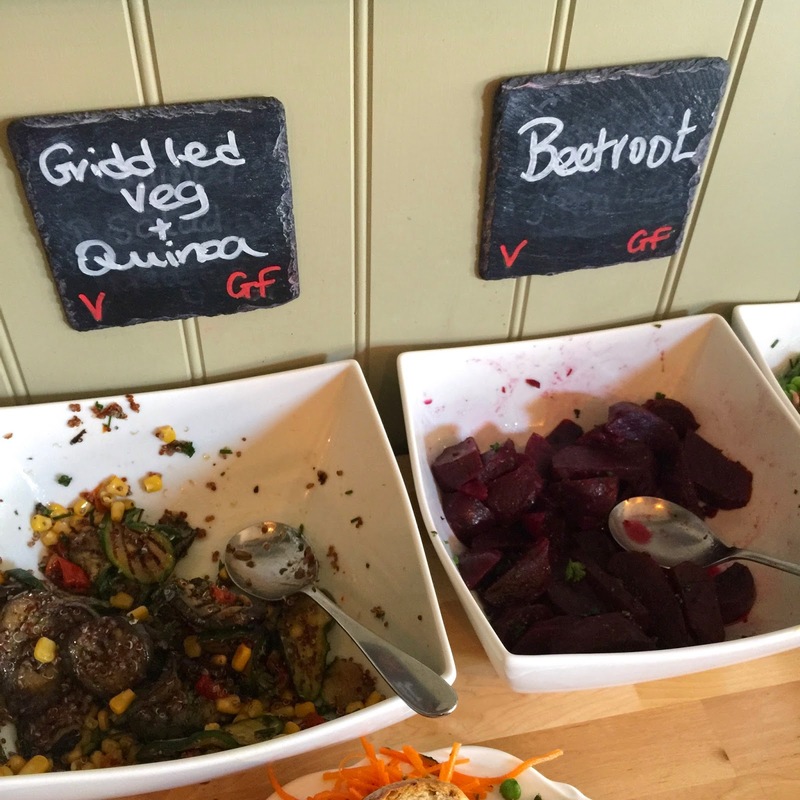 It was great to see that vegan and gluten free dishes were on offer and it's not only the vegetarians who are catered for. I dived straight in and went for the vegan indian curry alongside a selection of everything else! 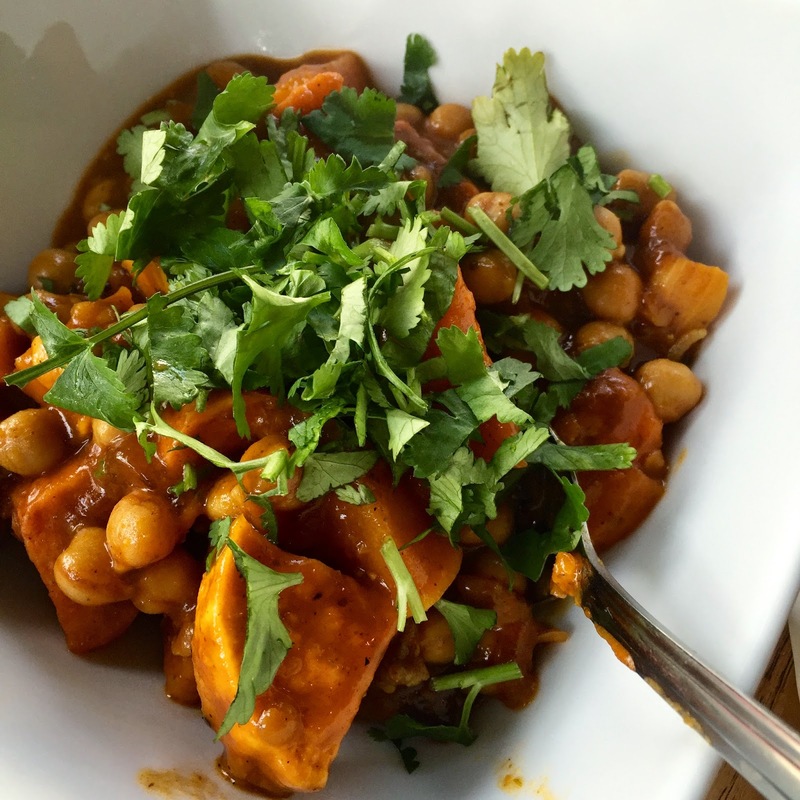 The curry was a really tasty mix of sweet potato and chickpeas and had a heavenly homemade quality to it. The only difference between the vegan and vegetarian option was paneer cheese so I didn't feel like I was missing out at all. We were so happily full after this lunch there was no room for anything else, which was a shame as I would have liked to try their desserts! 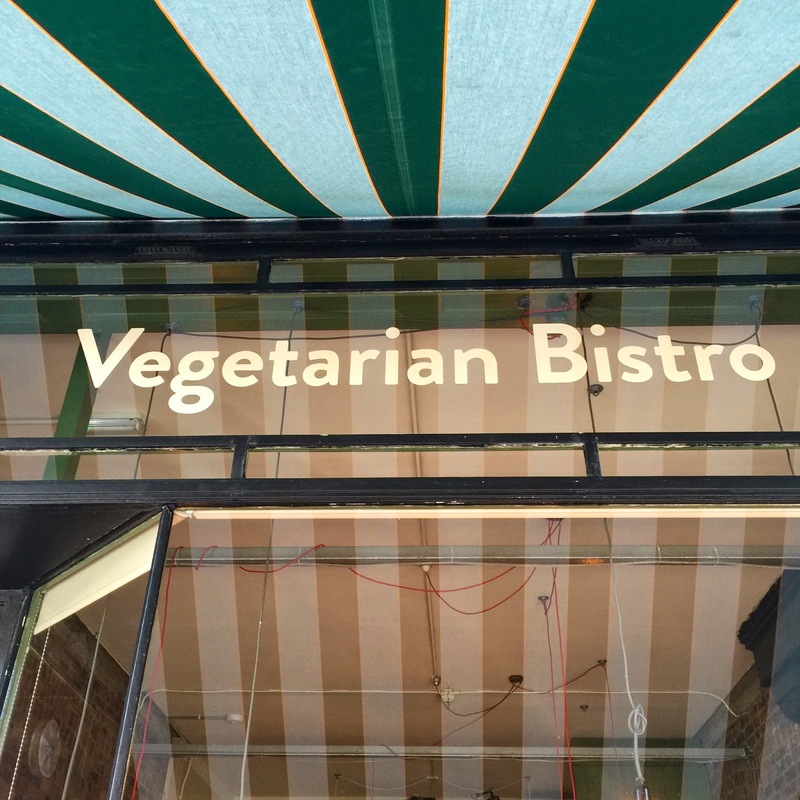 I absolutely love eating in vegetarian and vegan restaurants because the choice is endless. It makes such a refreshing change from eating out at other places and feeling so limited to what I can eat. This felt like such a treat! 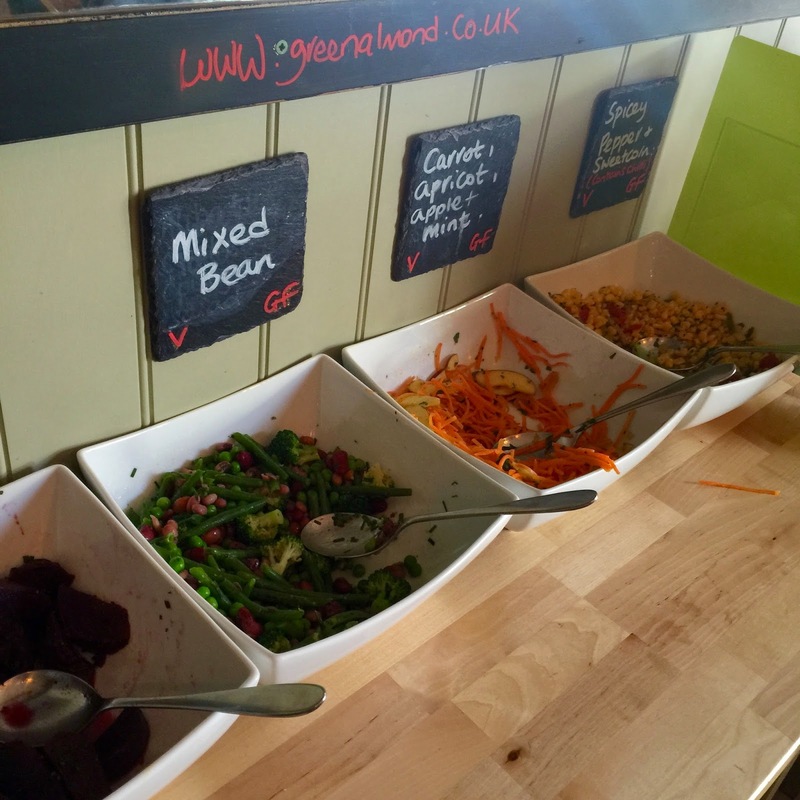 The food at The Green Almond was delightful, healthy, fresh and amazingly good value. Furthermore, the service was seriously up there as being the most friendly and accommodating I have ever experienced. We sat outside due to having the dogs with us and the waitress was so caring she bought us out a blanket as it wasn't the warmest of days! She could see that we had our hands full and she even offered to plate our food up and bring it out for us. Nothing seemed like too much trouble here and we were made to feel so welcome. I understand that the menu at this restaurant changes frequently and on Friday and Saturday nights you can enjoy a 3 course set menu dinner at £20 a head. 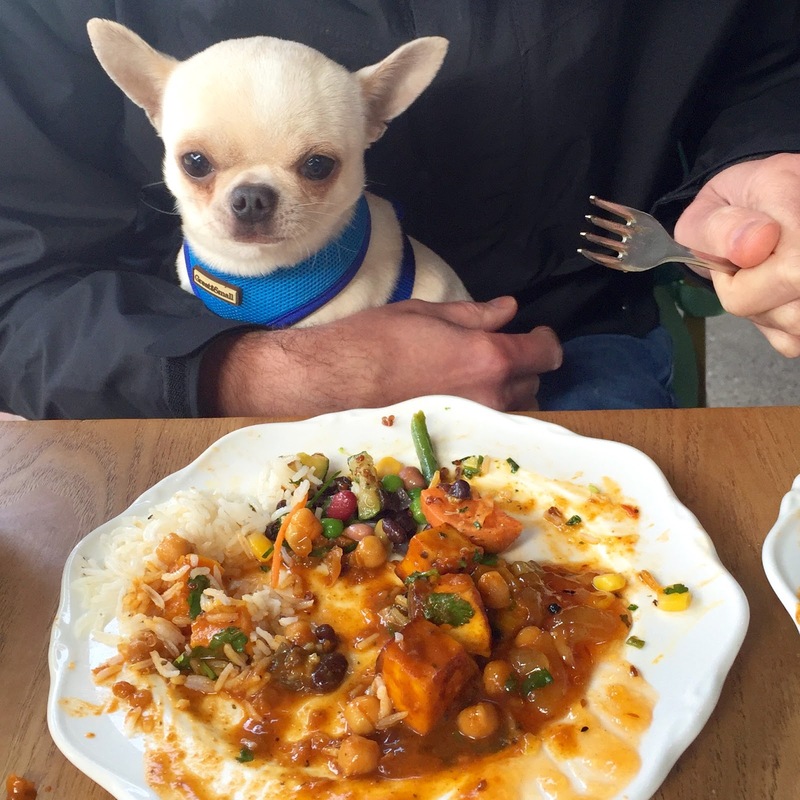 I am excited to return to The Green Almond to sample more of their wholesome good food and soak up more of the enjoyable and relaxing atmosphere!